The main feature of the property is The Grand Hall. 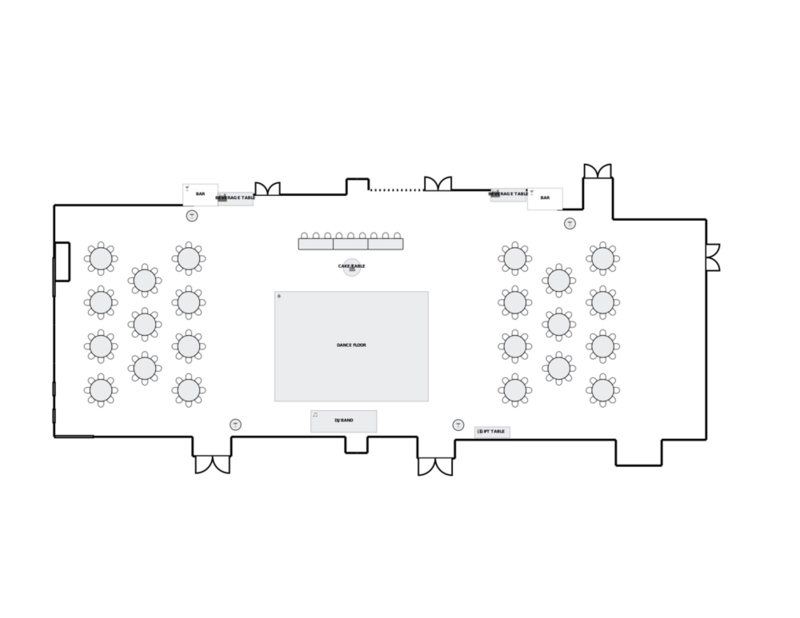 The hall delivers vaulted 20 feet ceiling, large restored crystal chandeliers, floor to ceiling stone fireplace, and rustic bars providing a blank canvas for you to create the ideal ambiance for your event. Secondary side of the property “The Compass Hall”, connects the old charm to the more recent, showing the 75 years of restaurant history with its exposed beams and barn wood walls. This newly renovated lounge type experience gives this banquet facility a rural vibe with its tree top bar, fireplace, outdoor patio, private entrance, brick walls helps to create an event unlike any other. The Market is convienently located between many hotels, listed below are within walking distance for a safe stay.